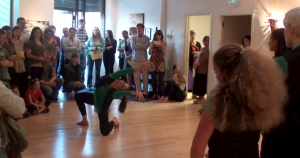 Performances | May 21, 2015 | by Missy Pfohl Smith. 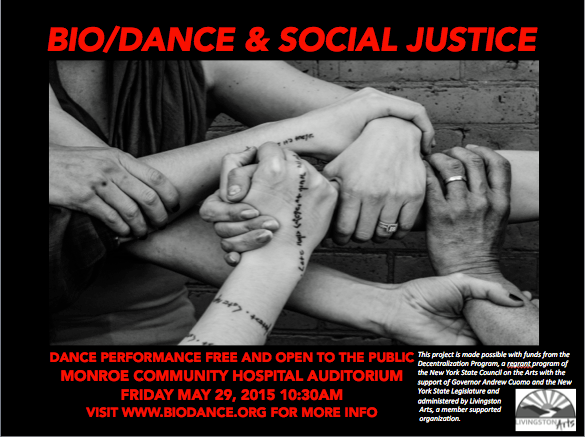 Join us on Friday, May 29 at Monroe Community Hospital for the first of the BIO/DANCE and Social Justice Series Performances. All of these shows are free and open to the public. 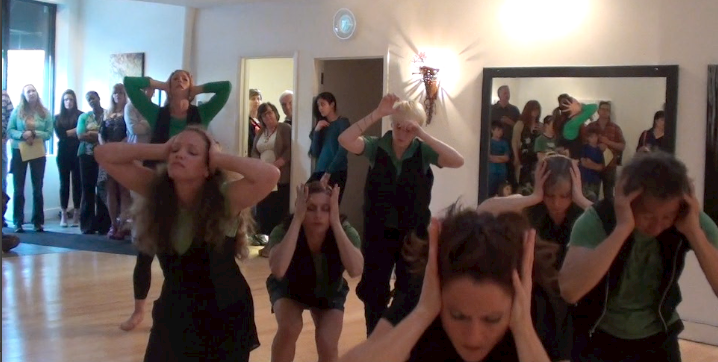 Community engagement can take many forms. On May 29, your help is needed to bring hospital residents down from their rooms to the auditorium (and then back afterwards). If you are interested in attending and willing and able to push a wheelchair, please plan on arrive at 10am to help. The dances will reflect themes of social justice and equality, and this is one way to provide access to the arts for those who may not otherwise have the experience. Please rsvp for planning purposes to [email protected] Thank you for taking part and we look forward to beginning to share this work with you! On May 1st, BIODANCE previewed their BIO/DANCE & SOCIAL JUSTICE SERIES at NU Movement with presentations by Coalesce, Smon Cheewapansri, Donna Davenport, and Missy Pfohl Smith. 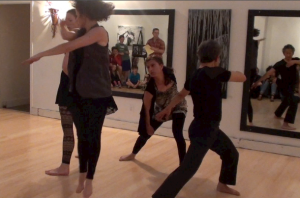 BIO/DANCE and Social Justice Series Begins! News | May 21, 2015 | by Missy Pfohl Smith.